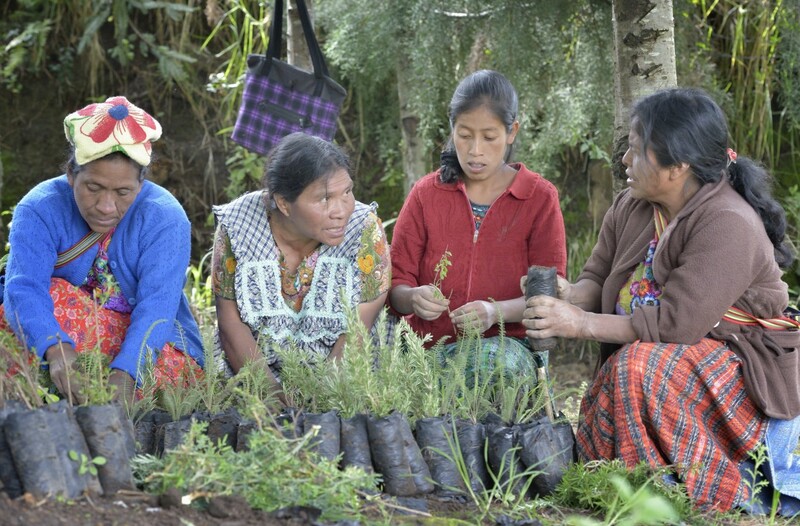 Hilda Coronado (second from left) trains agricultural promoters at an eco-agricultural training center in Comitancillo, Guatemala. The center is sponsored by the Maya Mam Association for Investigation and Development (AMMID). AMMID’s work is supported by Presbyterian World Service & Development, a ministry of the Presbyterian Church in Canada.